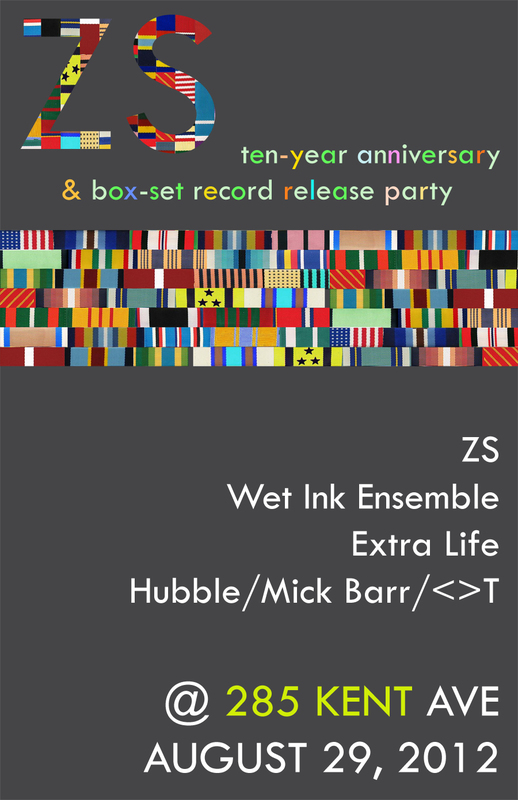 Excited to begin the Wet Ink concert season this Wednesday as part of such an incredible lineup: ZS, Extra Life, Hubble, Mick Barr and <>T. ZS is celebrating its 10-year anniversary and the release of a great new box set of their early work, featuring performances and compositions by my dear friends Alex Mincek, Matt Hough, and Ian Antonio, among others. Wet Ink will be performing as a quartet for this show, with Sam Pluta (laptop), Alex Mincek (sax), Kate Soper (voice), and Josh Modney (violin). Show starts at 8pm on Wednesday, August 29 @ 285 Kent Ave in Williamsburg. Cover is $10.